Boeing is investing in Accion Systems Inc., a Boston startup focused on scalable electric propulsion technology for satellites. WASHINGTON — Boeing’s venture capital arm known as Boeing HorizonX announced on Wednesday it is investing in Accion Systems to help accelerate the development of satellite propulsion for low and medium Earth orbit and deep space. Accion Systems Inc. is a Boston-based startup focused on scalable electric propulsion technology for satellites. 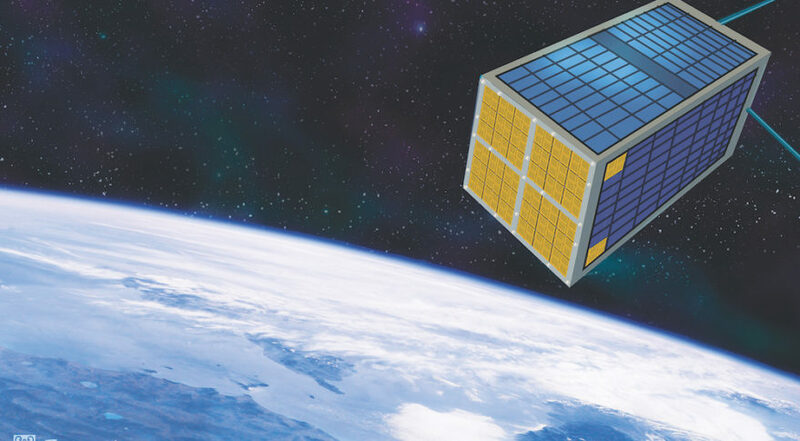 This investment in space technology comes on the heels of Boeing’s acquisition of satellite manufacturer Millennium Space Systems and a major investment in BridgeSat, a company that is developing an optical communications network to deliver data from low Earth orbit satellites. Accion’s developed an in-space propulsion system known as TILE (tiled ionic liquid electrospray) that aims to increase the lifespan and maneuverability of satellites and other vehicles in space. TILE uses a non-toxic, ionic liquid propellant and postage stamp-size thrusters. The company says the system is smaller, lighter and more cost-effective than traditional ion engines. Accion was founded in 2014 by two Massachusetts Institute of Technology engineers. It has received annual contracts from the Department of Defense for the past three years. In June 2018, Accion CEO and co-founder Natalya Bailey was named to MIT Technology Review’s annual list of innovators under 35. Boeing HorizonX Ventures led the investment round with participation from GettyLab. Executives said the investment will help Boeing advance satellite capabilities. In 2011, Boeing introduced the first-ever all-electric satellite propulsion system, the 702SP.